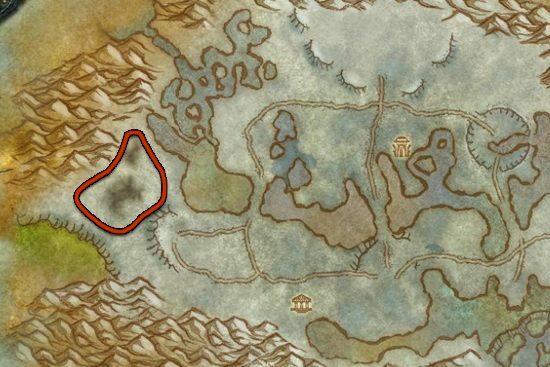 I made this Crystallized Shadow farming guide to help out players who want to farm Crystallized Shadow instead of buying them from the Auction House. Eternal Shadow comes from combining 10 Crystallized Shadow, so if you need Eternal Shadow, you have to farm Crystallized Shadow. Deathbringer Revenant at the Frostmourne Cavern in Dragonblight is the best source of Crystallized Shadow. This cave was designed in a way that there is always 4 of these mobs up, so when you kill one that would take their numbers below that, a new one will spawn instantly. NOTE ON SPAWN RATE BUG: It only happened to me once, and I couldn't figure out why, but the mobs stopped respawning for like 1 minute, then instead of 4 mobs in the cave, it was only 1. After around 5 minutes it went back to the almost instant spawn rate. I don't know why this happened, but I just wanted to write a note that this can happen to you. 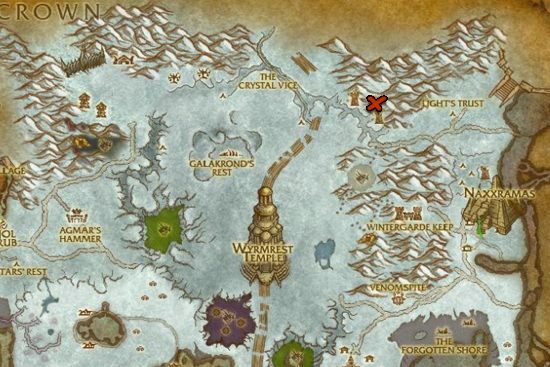 You can also farm Wandering Shadows at Wintergrasp. But unless you run into the respawn bug I mentioned, Dragonblight is just a lot better place. If you faction controls Wintergrasp, you can also find Shadow Revenant here. They drop 1-3 Crystallized Shadow every time.